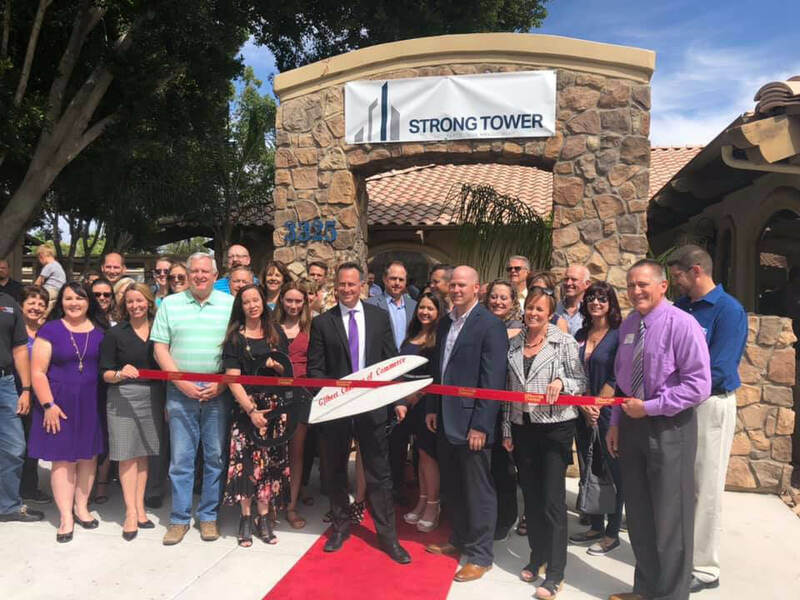 April 8, 2019, Gilbert, AZ: By every measure the Strong Tower Ribbon Cutting and Open House on Thursday, April 4th was a huge success. 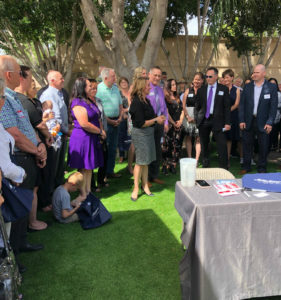 The Town of Gilbert Mayor, many Town Council Members and the President of the Gilbert Chamber of Commerce were all in attendance along with a mix of over a 140 Clients, Friends, Family, Neighbors and Teammates. 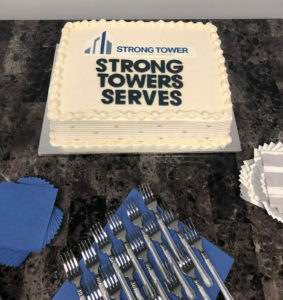 Keeping with the motto “Strong Tower Serves”, one of the Company’s favorite charity organizations was featured at the event – ASA Now, a local foster family advocacy group. Money and awareness were raised for their benefit in a 50/50 raffle. And even two foster infants were present to help mark the day. Lots of Carrier swag was on hand to give away to guests and a massage company was on site offering free chair massages. Catered food from Strong Tower Client Restauranteurs along with wine, beer, soft drinks and a delicious custom made cake helped set the festive mood. It wouldn’t be a party without door prizes; an Apple Watch, two Amazon Fire Kindles, a wireless camera and more were given away in free drawings. Located in Gilbert, AZ since 1989, Strong Tower Insurance Group is an independent risk management brokerage specializing in all Workers Compensation, commercial Agriculture, Construction, Manufacturing and High Net Worth Personal Lines. Company mission: Build relationships by serving others because we are called to do so and to partner with community businesses and families to protect and grow their assets by managing risk.